It’s a lot of work to take small children out. 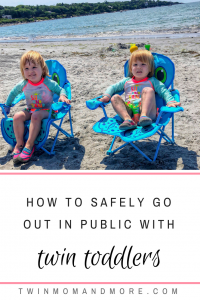 You have to pack up your diaper bag, get the children dressed, shoes and coats on, and then hustle them out to the car and buckle them into their car seats. 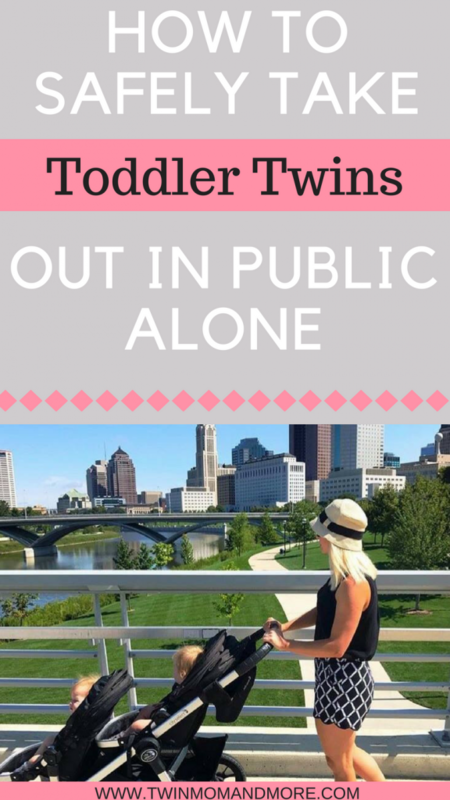 Taking toddler twins out in public is not only hard work, but it can be a valid safety concern. Toddlers don’t understand simple safety concepts, such as not running into a busy road. They also are still learning how to listen to an adult and follow directions. I’ve never been one to skip out on things that are challenging, so I take my children out frequently. There have instances when I have rolled out of a playdate with a double stroller full of two screaming toddlers and a pouting 4-year-old tagging along behind me. 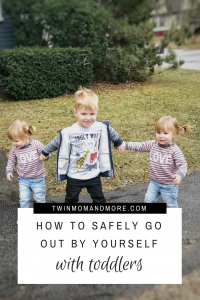 However, I have taken measures to know that my children are always safe, and I’m going to share these tips with you today! Gated playgrounds are life. I will not, I repeat, will not take my toddler twins to a playground that isn’t gated in. I don’t care if you use restraint harnesses, a shopping cart, or a stroller. There’s no judgment from me, and if someone judges you for using harnesses on your children, well they probably don’t have toddler twins, so they have no right to judge! I’ve never used a harness, however I might invest in some this summer. My girls currently love to go to the zoo and sit in the stroller, but I’d love for them to be able to get out and burn off some energy. Definitely not safe for me to have all 3 kids with me in an open space like that. This is another option that looks less like a leash. I’ll let you guys know if I end up using any this summer! The stroller is my preferred method. I get my stroller out, get my twins buckled in, and lastly, get Theo out. Theo knows that he must keep his hand on the vehicle or the stroller, at all times. We have the Baby Jogger City Select Double Stroller and I absolutely love it. We also have the glider board so that if Theo gets tired and we’re far from the car, he can just hop on. We were cleaning up and Josie and Margo decided it was time to open the door and leave. I dragged them back in, but while I was putting a coat on one twin, the other one was escaping. Theo needed help with his coat, so I zipped it and then we ran after the girls. I tried holding their hands out to the car, but they had decided they were independent and didn’t want to hold my hand. They began acting as if my hands were made of hot lava and flailing themselves around. I had my hands clamped around their wrists in a death grip so they couldn’t get away when I got to the van. At that moment, it hit me… how on earth do I OPEN MY VAN DOOR, when I have no hands free?? I held one of the girls between my legs, opened the van door, and threw the other girl in the van, just as the other one pulled free from my legs and bolted. I ran after her, threw her in the van, and shut the door without even buckling them in their car seats, just so I could catch my breath for a minute. Just then, a kind elderly man drove up to me, and I thought he was gonna drop a judgment bombshell like ‘”lady, get ahold of your kids before they run wild among the parking lot and get crushed.” Instead, he said “ma’m, I was watching you with those kids and I just have to tell you… you did everything right. Keep up the good work.” I almost cried in my van, but instead pulled myself together and went to the drive through and treated myself to a hot coffee! If my children don’t listen, we will go home. I need to mentally prepare myself for this every time we go somewhere. Children won’t learn that their actions have consequences if, well, there are no consequences. I usually give one warning, and then we either leave, or somebody gets put in the stroller. A few days ago we were at the park with some friends and were eating lunch. Josie decided she was done eating and wanted to go play. I told her that she had to stay with us until everyone was done eating. She stood at the end of the gazebo with a pout on her face for a few minutes. Honestly, I knew it was only a matter of time before she bolted. I gave her several reminders that we were almost done eating and she had to wait and that if she ran, I was putting her in the stroller. Sure enough, after a few minutes, she bolted. I ran after her and put her in the stroller. She screamed her little head off, but I simply reminded her that I told her this was going to happen. After she calmed down, I let her get out and play with her friends but told her that if she ran away from me again, we were leaving. But it’s not fair for the other children! No, it’s not. But it’s also not fair if their sibling gets hurt or abducted. Is that a bit harsh? I don’t think so! We’ve never actually had to leave someplace because somebody wasn’t following rules. If we did have to, I would try to think of something special he could do at home to make up for it. I can’t stress the stroller enough. When your children outnumber you, it is essential to have a way to safely contain them! Whenever my husband is with me, we practice. We let the girls get out of the stroller and hold our hands. If they refuse to hold our hands, they get carried or put in the stroller. I like to practice these freedoms when I have another adult around so that they know what’s expected of them when they aren’t in the stroller. Toddlers are going to push boundaries and not follow directions 100% of the time. It’s just in their nature. Knowing this, whenever you leave the house with toddler twins, make sure you have a plan, be prepared to get in the car and go home if it gets to be too much. And most importantly, be consistent with reinforcing the rules. 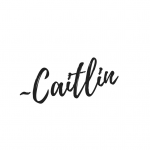 I like to think that when my girls are a bit older, they will know that I will follow through with what I say, and happily follow the rules. I hope that this encourages you to get out of the house with your toddler twins!! It is a lot of work, but you can do it! 3-Day Potty Training: Does It Work?